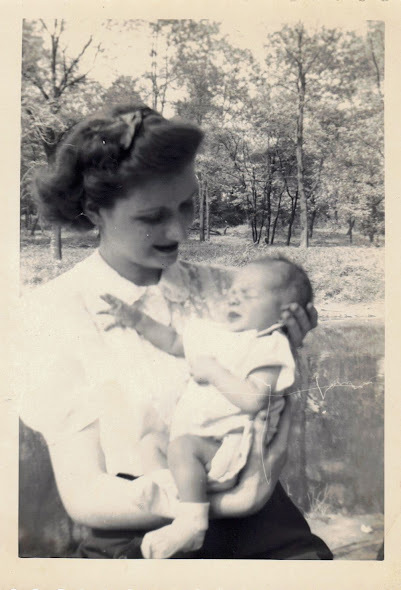 Vintage Photo Friday: The Demon Baby Lives! Mother, I demand to feast on the soul of an innocent. Forget Rosemary's Baby. This tiny terror came screaming from his mother's womb demanding fresh souls and heavy metal music. Look, as he reaches his outstretched baby hand, like a claw reaching for the kill. He really pulls at the heart strings...literally. And his mother, clearly a devil's minion, looks proudly upon him. Fun fact: Fear of babies is known as paedophobia. Happy Vintage Photo Friday...the 13th! "It's all for you, Damien!"